Join Viola Buitoni and me, Barbie Aknin for an end of summer culinary getaway. 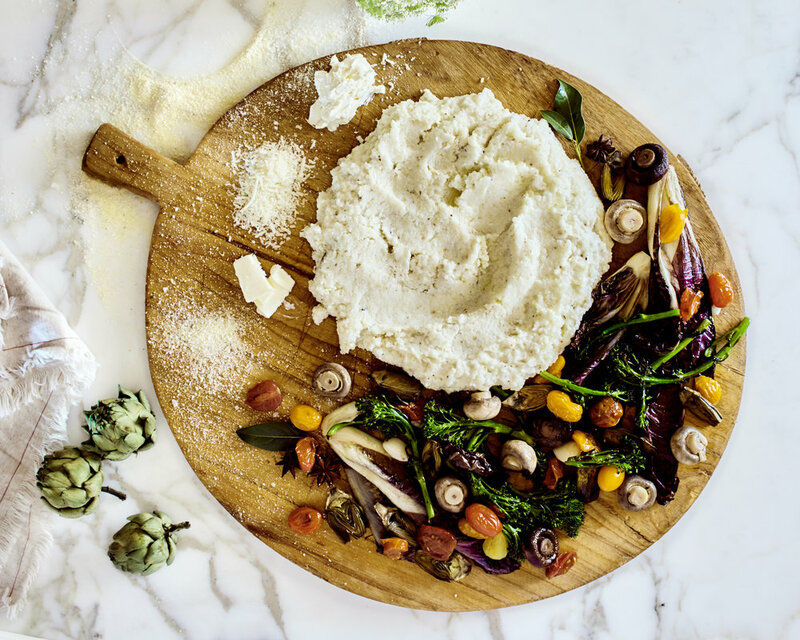 Summer vegetables and Italian cooking are a match made in heaven! Summer squashes, eggplant, greens and fresh herbs will be in abundance along with, of course, tomatoes. These vegetables, along with the traditional preparations of Italy will be our focus. Well, that and rejuvenating before the busyness of autumn begins. The cooking will be relaxed but informative. Our time will be a mixture of organized experiences and rest. There will be time to wander through the three acres of gardens or lounge around the pool or patio overlooking the Monterey Bay. What will we be cooking? This depends on the garden! 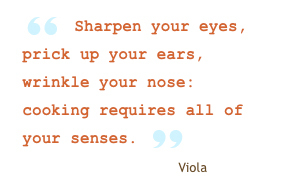 And Viola’s mood and what’s available at the farmers market. I can promise you that the food will be fresh, abundant, and Italian! Following an idyllic upbringing in a family estate immersed in a life that moved to the clock of seasonal food, I moved to New York City in 1985 for a business degree. Soon after school, I found myself drawn back into the genetic and ingrained passion for food. After a few years honing skills in professional kitchens, I poured my passion into a catering kitchen and fine foods shop in the heart of NY's Madison Avenue. When I sold the shop, I followed my heart to San Francisco to start a family with my longtime love. It was motherhood that shaped my next professional step. My boy's birth crystallized the significance of the table in forming meaningful bonds to family, community, environment and it fostered a desire to share my knowledge and experience with as many people as would listen. Since 2010, I have been teaching Bay Areans to cultivate relationships at the market, by the stove and around the table and to make Italian cooking part of their every day lives. NOTE: Thursday night option can only be purchased with a weekend package and not on its own. We'll be in the kitchen preparing dinner. You can participate, walk through the gardens or unwind and enjoy a view of the Monterey Bay with a glass of wine. Preserving tomatoes; Viola will teach her traditional method for canning summer tomatoes. We’ll prepare enough to take home. Floor to ceiling windows, patios and the expansive garden draws you to the out of doors. The interior is comfortable, airy, and clean. There are five simple private bedrooms each with a double bed. There is an additional large private room with lots of windows, a double bed and four comfortable twin beds. Slumber party time! Two bathrooms and a half bathrooms are in the hall. Outside, paths wind around the three acre property with organic orchard, farm and garden. Guests are free to wander the entire property on the half mile bark trails. Eighty hens and five roosters live on the property as well as bees with hives in a fenced in enclosure 100 yards from the house. Tap photos below to view more. Receive a 3% discount, paying by check. contact us here if you've got questions about the room or anything else! Please Note: optional Thursday night stay ($195) can only be purchased with a weekend package and not on its own. The commuter program starts at 5:00 PM on Thursday and includes everything listed in the program other than accommodations.